Although Windows 7 allows you to search documents by content, you may get frustrated waiting for it to finish. Windows 7 content searching performs slow because of the search index that needs to be updated for every new search keyword. 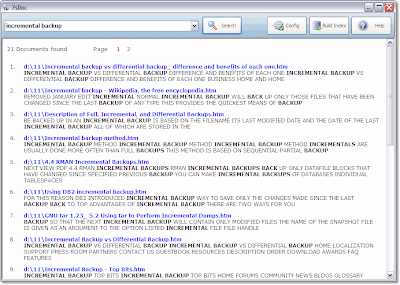 This is where 7sDocs becomes helpful because it was designed for quick search files by content data. 7sDoc can text search files such as DOC, XLS, RTF, TXT, HTM. To start using 7sDocs, first you must go to Configurations and add folders where your documents are stored. It will initially build the index on these directories. After that, you may now type the keyword on the main form and hit Search. 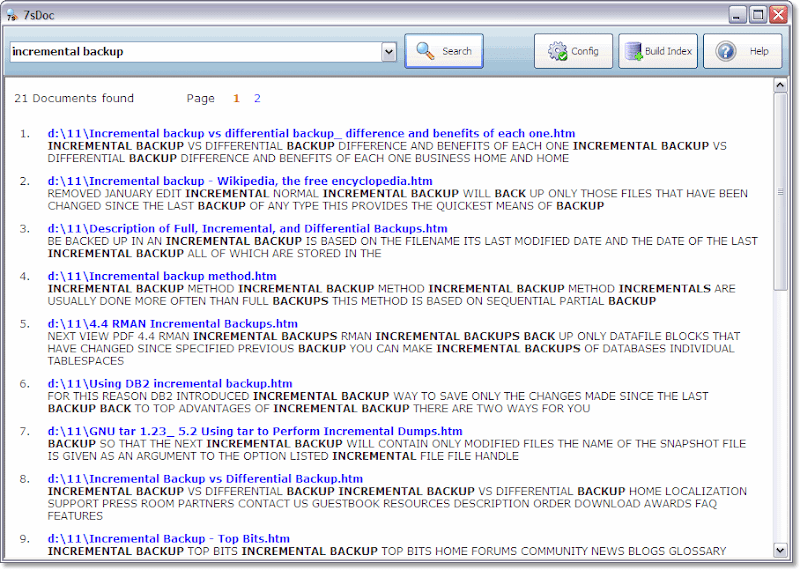 On the search results, you can click the blue link to open the document that contains the data your searching. You can also filter the extensions to be indexed under Configurations. 7sDocs runs on all versions of Windows including Windows 7 where I tested this application.